Sun Worship is a ritual followed by thousands of devotees in Hindu Religion. In legends the Sun God is portrayed as seated on a chariot drawn by seven horses. According to Indian Astrology a well-located Sun in horoscope indicates intelligence, good health, confidence, leadership qualities, courage, strength, independence, fame, success, power, vitality and straight forwardness in an individual. But an ill-placed Sun could mean ill health, lack of endurance, low vitality, fear and dependency. However an overly strong or poor placement of the Sun may bring in some negative qualities in people. 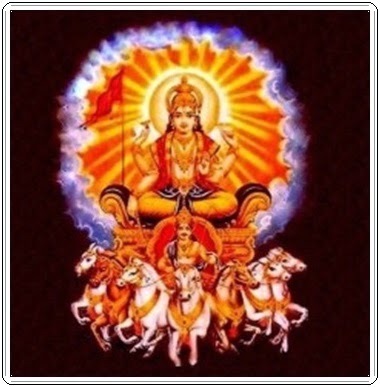 Sun Worship is very helpful for those who face problems, hurdles and misfortune in their lives. Given below are some of the mantras of Suryadev. For more on Sun Worship visit my HubPages Article 'Sun Worship in Hinduism'.